Massage Gift Vouchers are available at our Truro and Richmond branches and are redeemable for all our treatments. This includes Sports massage, deep tissue massage, relaxation massage, pregnancy massage and massage in Cancer and treatment of muscular-skeletal back pain. A Massage gift voucher is the perfect gift for a loved one with back pain. We have an email version of the gift voucher or we can also send you one of our fabulously designed gift vouchers. Our gift vouchers and cards have room for you to include your own message. 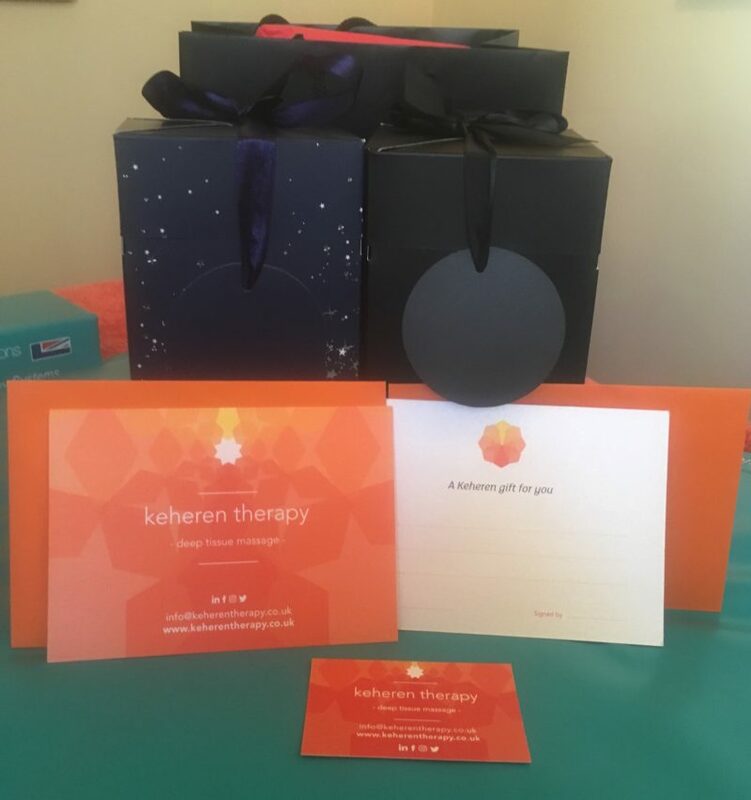 Massage Gift vouchers make the ideal gift for hen parties, Mother’s Day, Father’s Day, birthdays and anniversaries (to name just a few! )…or simply just to treat somebody you love! There is no premium on buying gift vouchers, they are the same price as buying a treatment. Details of prices in Richmond are here and Truro are here. Payment is made in person via card, cash or cheque or if you would like to pay remotely we will send you an IZettle link to pay. They are also the ideal present for someone who is pregnant …. when you are struggling to find a gift we have the perfect option! Our unique Hydrotherm pregnancy massage makes massage safe and effective at all stages of pregnancy. Makes the ideal gift for a baby shower, or simply a gift to pamper a mum to be!! Our gift vouchers are also ideal for those that are sporty – perhaps you would like to treat a friend that is training for a marathon. Our sports massages will help relieve them from muscular aches and pains or provide maintenance whilst they are training. We love to donate gift vouchers to support worthy causes. Most recently we helped fundraise for Cornwall Hospice care, the Merlin Centre and the Chrons and Colitis Charity. So if you would like us to help support your fundraising please do not hesitate to email us.